Despite the TV and radio commercials infiltrating human minds faster than cell phone brain tumors (sorry, but I have a particularly concerted respect for close-approach forms of energy, even though I realize the jury is still in -- and out -- and in -- and out regarding this issue) about what we "deserve," I'm afraid I can't always agree. We don't "deserve" to win the lottery, we don't "deserve" a luxury ski vacation and we don't "deserve a break today." But we do deserve the truth from our government. Truth, the jewel whose image often fails to shine through the muck of sanctioned impedance. If tomorrow happened to be my last day on earth, there are three things out of hundreds (including military encounters) about UFOs that I'd like my government to come clean about. Well, no, actually there's a fourth, which has nothing whatsoever to do with my government, and that is, when are the broadcast giants of this planet going to snap up Canada's Errol Bruce-Knapp (he of the Virtually Strange network and his now-podcast show, "Strange Days...Indeed!") to have him host his UFO-related program on a major radio network? Errol's approach and his stable of knowledgeable and reliable guests should be heard via The Biggest Microphone in the World. But getting back to those three things. 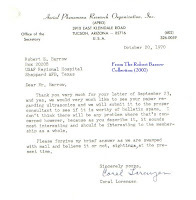 First, I'd like the scoop from the U.S. government about the April, 1964 Socorro, NM UFO encounter. 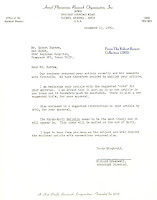 If you've read this blog from the start, you already know of my interest in this case -- and the fact that I received a letter from the Air Force in 1965 (posted in an early blog entry for your viewing) calling patrolman Lonnie Zamora's UFO a "vehicle" only enhanced my interest. After 43 years it's time, as it is for so many other incidents, for the government to tell us what is known. You can't just chalk this impressive case up to the "unexplained" category and never say anything again. Somebody knows, if not highly suspects, something -- and I think that something is worth knowing. Yes, we "deserve" the truth. If the truth clashes with somebody else's belief system or annually contrived fantasies, that's just too darned bad. What else? Well, Chicago's O'Hare Airport sky object of November 7, 2006 should cause everybody's eyes to pop. Beginning with the first hint from Peter Davenport's National UFO Reporting Center (see link), extending to the January 1, 2007 Chicago Tribune article exposing the incident to a profoundly curious public (the Trib's circulation soared) by reporter Jon Hilkevitch, and ending with the final and lengthy report a few months ago issued by the organization NARCAP (see link) which determined the UFO -- oops, I mean unidentified aerial phenomena, the term NARCAP prefers so as not to inflame those who detest the UFO designation, because those of us who use that term at any time of the day or night are deficient in some way -- was indeed real, strange and a particular flight path hazard as an intruder at one of the world's busiest airports, the O'Hare incident appears a one-punch, knockout UFO case. While the commercial airlines, always concerned with the bottom line, denied the obvious and attempted to shovel away the evidential poop deposited conspicuously by the ufological elephant almost sitting on a runway (bad for business, you know, and currently, of course, we had the U.S. government trying to hide a brand new report -- unsuccessfuly, we are now promised, and we'll soon see -- about potential sky hazards from the public because the public may well panic to the degree it rightly "deserves" to panic), government spokespeople who are supposed to speak in instances of the nationally dramatic spoke nothing, and continue to speak nothing. Again, we are deterred, we are ignored and we are denied the truth. I want the truth and I demand it. We all must. And this brings me to the last thing I would wish to know if tomorrow were the final tomorrow. Unless you follow the UFO story regularly, you might not even know about the story within the story. Again, it's something I wrote about in the early weeks of this blog, months ago, when I posted my five-part series entitled, "As Weird as it Gets." You may know it as the Hickson-Parker case, or the Pascagoula, Mississippi UFO incident: The alleged abduction and physical examination of two fishermen, Charles Hickson and Calvin Parker, by extraordinarily strange-looking creatures from a UFO. This most bizarre of bizarre incidents had so many things going for it, including the known fact that other people probably witnessed the UFO that swooped down over the fishermen early in the evening of October 11, 1973. But years later, the story took on a new life when Mike Cataldo, a retired Navy chief petty officer residing now in Florida, approached a newspaper reporter to announce that he and a carload of fellow Navy servicemen had seen a very strange object, all lit up and about the size of a large passenger jet, late during the day of professed abduction while driving on U.S. 90, between Pascagoula and Ocean Springs. Cataldo's rational story, intriguing enough to impress ABC Radio broadcaster Paul Harvey, who spent a considerable amount of time on it during a Saturday broadcast, instantly increased the Hickson-Parker case credibility. Unfortunately, and not uncommonly, major press sources did not pick up Cataldo's story anywhere near what they should have. The Pascagoula incident cries out as a warning, even if just a warning for warning's sake, of something intruding in our lives almost on a whim that seems to influence in ways unknown, and terrifies or mentally overpowers almost routinely. When Cataldo's admission as a probable additional Pascagoula witness surfaced at last, Hickson and Parker's experience took on a new prominence. There is something for us to know here, and as much as the government may not know, it is essential that we, the people, be informed about the known. About the real. About the plain and simply bizarre and complex truth. What the hell occurred in Pascagoula that night? Tell us what we know. Tell us what we don't know. Tell us what might be. Number three on my list of a list that could go on for pages and pages. Just three little UFO cases, only three. Please. For starters. Why must we beg? In a universe so strange and still so woefully unexplored by humans, why should we expect to be anything but surprised, pleasantly or otherwise? Unexpectedly, disturbingly, I find myself quoting President George W. Bush: "Bring it on." Come on, this is big stuff. Give us the truth we truly deserve about the UFO issue so we can honestly say, at last, that we got what we deserve. No, I'm not a huge fan of "Coast to Coast AM," but I'll give Art Bell, George Noory and Co. credit for initiation and survival of its format. How great it must be when a program director or broadcast station manager looks ahead and realizes the potential of that occasional strange idea that graces his or her office. I wanted to host a regular radio show about UFOs and other enigmas as far back as the sixties, when I was a teenage guest on some programs. In fact, my final project for a broadcasting course at Syracuse University a few months before entering the Air Force in 1968 was a contrived radio program incorporating real UFO incidents of that era (another "gem" from my life saved for all time in Wendy Connors' Faded Discs archive). After the military years, I continued to harbor a dream of hosting a program, and representatives of several membership organizations kindly offered to help with letters and in other ways, as shown here. 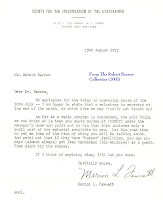 The International Fortean Organization (another group concerned with weird events, apparently still going strong and accessible via the Web) letter brings back memories. There seemed a dreadful lot of in-fighting at INFO way back, as new names and faces entered the administrative scene following the (fondly remembered) leadership era of brothers Ron and Paul Willis, with more internal discontent than a dumpster fight attended by starving cats. I hope the situation eventually changed back to normally abnormal. Years ago, I took on the responsibility of becoming The INFO Journal's audiovisuals editor, and that lasted for precisely one issue, where my name and new title appeared, but I never had the opportunity to contribute a single thing during my "tenure" and was soon replaced and my name dropped! From experience, all of the letter writers displayed here recognized the popularity of UFO-related broadcasts. Unfortunately, even though I continued to guest on both radio and TV programs to discuss UFOs in the seventies, resulting in a demonstrably positive audience response, I never could interest local or regional broadcast officials in producing a regular series. One station's general manager whom I saw by appointment in the seventies allowed me about two minutes of his valuable time before almost throwing me out of his office, albeit in a kind manner. He just didn't want to hear any nonsense about a program revolving around UFOs and other mysteries of The Strange And Unknown. I guess he was right. How could such a program ever last for more than a few days? Outrageous. Unthinkable. Impossible. Frank Edwards. Long John Nebel. Bell. Noory. Etc. Etc. Around 1970 or so I joined another organization, but this one's perspective encompassed all sorts of bizarre enigmas, not just UFOs. The Society for the Investigation of the Unexplained (SITU), headquartered in New Jersey, existed under the guidance of famed writer, broadcaster and explorer Ivan T. Sanderson. Sanderson was an individual of prolific talents and education, widely known for his multiple roles as zoologist, botanist, biologist and geologist, with a hint of controversy thrown in. 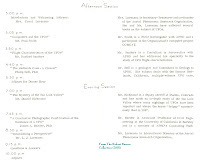 The SITU information sheet posted here, commonly distributed and published in every issue of SITU's journal, Pursuit, beginning in the eighties, briefly explains the organization's origins. 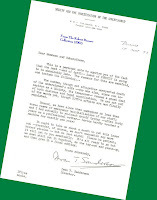 The form letter additionally posted here reflects a terrible moment for Sanderson, having just lost his wife in addition to experiencing internal problems at SITU. The organization, conceived in the sixties, was eventually headed by the late Robert Warth after Ivan Sanderson's death, and collapsed several years later (in the early nineties, as I recall) as membership declined. During Warth's years overseeing SITU, I wrote a few articles and numerous book reviews for SITU's quarterly journal, Pursuit. Bob Warth phoned me often about reviewing this book or that, and on occasion he would just box up a number of books and send them to me unannounced, hoping I would find some worthwhile (many were not). In SITU's declining years, I suspect the writers, writing quality and interest began to fade as quickly as the cash needed to sustain the organization -- and because proper funding has always been an issue for legitimate enigma-investigative groups, the demise of yet another really shouldn't have surprised anybody. There's probably more to the story of SITU's end of which I am not familiar, but I think I've offered a fair assessment. 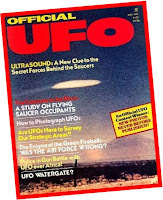 Bits of this-and-that today: About six years after jotting down notes that eventually became the APRO article, I wrote a longer piece on ultrasound and its possible relationship to the UFO phenomenon for the May, 1976 issue of Official UFO, my first venture into the world of national magazines, and here's the cover in stereo (say what you will about the blurbs, but the cover itself was appealing and colorful -- and to see my article title prominently reflected at the top was both an exciting and humbling experience). 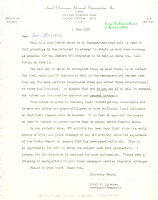 Once I started writing a few articles for national magazines, mail started coming in from all over the USA and other countries, demonstrating that the public continued to maintain a serious interest in the UFO subject. 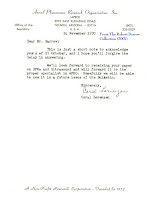 Making this point balances well with the 1972 letter posted here. Soon after my USAF discharge I contacted the Air Force unit at Hancock Field and offered my assistance in accepting UFO reports. 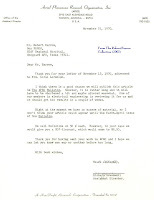 However, by then the Air Force had divorced itself from the UFO issue in no uncertain terms, where the man, woman or child on the street was concerned, and this public information officer made the official position clear -- there would be no forwarding of UFO reports to any public source whatsoever. While some official agencies did indeed offer up points of civilian contact regarding sightings (such as CUFOS), most did not. Obviously, over time various publicly available sources and organizations -- particularly via the Internet now -- have taken up the cause and accept UFO reports graciously. In the meantime, let there be no doubt whatsoever that government facilities continue to record and investigate troubling UFO encounters and incidents with all the secrecy and censorship abilities available -- abilities currently almost as vast as the known universe, we may assume. 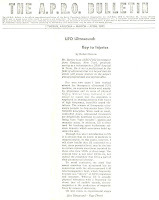 My UFO ultrasound article in The A.P.R.O. Bulletin did elicit some feedback, though not all of it favorable. A reader in California wondered what my "problem" was as he added content to my theories (see letter). I wrote Coral and asked what she specifically thought my "problem" was, and her response was that she didn't know, either, that's why she forwarded the writer's letter on to me. In the meantime, the Lorenzens were about to embark on a trip to Santa Ana, CA for a UFO symposium, where they would also discuss the ultrasound possibilities with others. The Western Symposium pamphlet is shown here, along with an APRO form letter stressing the need for publicity. Pay special attention to the bottom where APRO admits that the negative Colorado UFO project results have deterred sighting reports and sightings are diminished. It may easily be interpreted from this turn of events that the demise of Project Blue Book, based upon Colorado's report, suddenly gave the public fewer outlets for reporting UFO experiences. When Blue Book collapsed, the public was advised primarily to report UFOs to their local law enforcement agencies -- a preposterous suggestion that would burden police officers who knew nothing about UFO investigations and were already up to their armpits in responding to and solving crimes. In time, especially with the advent of Dr. J. Allen Hynek's influential Center for UFO Studies in the seventies, police agencies at last felt more comfortable in passing reports along to a civilian UFO agency. NICAP and APRO had also enjoyed a good relationship with law enforcement departments, of course, but Dr. Hynek's reputation as both former chief Air Force UFO consultant and professional astronomer allowed him "star status" in the eyes of many, and his ever-evolving public statements supporting the scientific aspect of the UFO phenomenon didn't hurt, either. By 1972, the possible relationship between UFO activity and ultrasound was apparently taken quite seriously by some in the scientific community. In Vol. 2, No. 5 of Gordon I.R. Lore, Jr's UFO Research Newsletter (Wash., DC), Dr. Robert F. Creegan, professor of philosophy at the State University of NY at Albany, wrote an article about scientists in San Diego and Seattle providing instrumentation to conduct UFO field studies. "These will involve attempts at triangulation of positions," stated Creegan, "studies of light diffraction and possible polarization, attempts to detect ultrasound, and use of magnetic variometers." 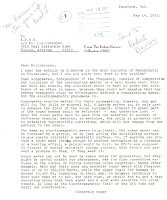 James Lorenzen, head of APRO, and Dr. J. Allen Hynek coordinated the project initially in conjunction with The National Enquirer, which had convened a "blue ribbon panel" of scientists and other professionals to determine the best evidence for UFOs. I personally am unaware of any immediate findings relative to ultrasound, though, admittedly, doing field studies on a phenomenon as uncooperative as the UFO is an obstacle from the outset. 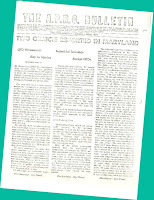 The March-April 1971 issue of The A.P.R.O. Bulletin featured my speculative ultrasound piece, shown here. Please note that the page with a color background is not readable when enlarged, but the article's three pages, displayed separately, are -- as is Coral Lorenzen's very kind letter regarding the article prior to its publication. I apologize for working from old faded photocopies of the article because, in keeping with my "excellent" archival system, the actual issue and extras thereof are not available at this time. Sock drawer gremlin struck again, no doubt, expanding its influence amd territory. Vibratory sensation and sound itself must have helped many early critters survive on this planet once life began to flourish. Yes, sight was an important factor, even with fundi allowing wide-screen vision to track predators. But what good would sight be if a Goopadidilosaurus born eons ago from the primordial soup, gazing upon a lush and tasty green forest, didn't feel the vibration or noise of the hungry Viperaslitherorex burrowing murderously up through the marsh, just below its vulnerable underbelly? The sounds of thunder warned early humans of the approaching storms. The wolf's howl tips the pack off to potential dangers, a food source, or perhaps its howl sometimes exhibits itself merely as a howl for howl's sake, just to be heard. Sound. Even in literature, as in motion pictures inspired by literature, sound often plays an integral part in the story. The role of the conch in "The Lord of the Flies" comes to mind. When sound ultimately became married to electricity and other forms of power, remarkable things happened. Sonar was developed for military use in submarines, and even fog could be cleared from formerly hazardous aircraft runways. Today, the potential of sound seems limitless, its science firmly entrenched. now delineated in frequencies such as ultrasound and infrasound. In recent years, refrigerators operated by sound waves have been invented, and just a few months ago ultrasound units developed for battlefield use were seen to hasten the healing of war injuries. And while I personally don't know what to think about "crop circles" that seem truly mysterious (realizing, of course, that numerous known fakes and hoaxes prevail), there exists some rare but intriguing writing in that area suggestive of origin via sound waves, either ultrasound or infrasound. In the 1960s, other than fog dispersal and early sonar experimentation, I don't believe anybody was doing much with sound, aside from enhancing the quality of Elvis or Beatles music rushing from the evolving speaker industry -- which probably acted as a springboard of sorts for sound's future variations. However, even in this era of electrical sound's formative trials, there actually had been, for some years, a use of sound in medicine: The therapeutic ultrasound machine. Back then, they were heavy and cumbersome, transported on wheels. As of today, according to a news report I just heard, ultrasound units can weigh as little as two pounds (lbs.). When I began working in Air Force physical therapy in 1968, I quickly became familiar with that cumbersome ultrasound unit on wheels, as they were used commonly in the clinics for relief of muscle spasms and pain. Now, you must consider how long ago this was and how much knowledge we had yet to gain. In some strange way that probably makes sense only to me, I like to draw a parallel with the Barney and Betty Hill (alleged) UFO abduction case, where Betty related that her alien abductors conducted a "pregnancy test" via insertion of a needle into her navel -- a seemingly wild claim for its time, unheard of in the medical community, yet a procedure that eventually became common internationally just a few years later with the label, amniocentesis. Similarly, when I worked in a clinic using ultrasound for its healing properties in 1968, nobody had a clue that ultrasound waves would one day be harnessed to determine pregnancies and to diagnose fetal problems, lacking the high risk posed by x-rays, the only diagnostic tool available until sound waves entered the "picture." In fact, had anybody suggested this future use of ultrasound at that time, they might have been looked upon as crazy. So maybe I was that kind of crazy, too, when I began taking a really close look at that ultrasound unit. I don't exactly know why I focused so intently upon ultrasound, because the clinic was also awash in machinery treating patients with microwave and shortwave diathermy energy -- and, as you may know, the potential relationship between microwave-type energy and UFO encounters frequently seems highly relevant. Yet, other authors have concentrated their efforts superbly on that theory, so I'll leave the microwave issue to them. Besides, I'm no scientist. I'm just a writer, not even a great writer, but I can usually make a point when necessary. I assure you, had I been a scientist I would have inadvertently blown up the planet long ago. It would be something like, "Oh no! I accidentally mixed bleach and a bowl of Rice Krispies with Helium 3! We're doomed!" Yeah, I know, Helium 3 is still on the moon and we don't have any yet, but that's the dramatization I preferred just now, thank you. Ultrasound, yes. So I thought long and hard about ultrasound's properties and I read the US machine manufacturer's instruction booklet cover to cover. UFO-related theories emerged. I made notes and then scribbled paragraphs and then by 1969-70 I knew I wanted to write an article. Dare I find the boldness to suggest something for The A.P.R.O. Bulletin, journal of the Aerial Phenomena Research Organization? And now that Project Blue Book was gone and Colorado University had banished forever the thought of UFOs being "real," could I now feel more comfortable about wearing the Air Force uniform openly while simultaneously writing something publicly about UFOs? The answer was a resounding yes, and to my delight APRO was impressed. The article, ultimately entitled, "UFO Ultrasound: Key to Injuries," appeared in The A.P.R.O. 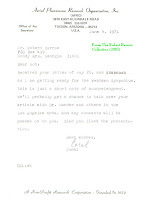 Bulletin for March-April 1971 and elicited a good response. Former NASA scientist Paul R. Hill, in his 1995 book, Unconventional Flying Objects: A Scientific Analysis, found the ultrasound idea interesting, but rightfully took me to task on my assumptions regarding the medium used for sound wave propagation -- and I'm glad he did because, again, I'm no scientist and knowledgeable theory refinement is gratefully accepted. 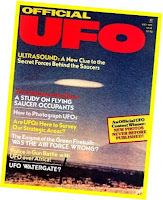 Five years following the APRO publication, my very first national magazine article, essentially an expansion of the ultrasound piece, appeared in Official UFO (a great proponent of intriguing UFO literature that eventually went very, very bad once pure idiocy and fiction disguised as truth became the norm in its pages) of May, 1976. Miraculously, the article received "top billing" on the cover. Today, I'll put up a few letters relating to the article and next time around I'll post the actual article as published by APRO. If I eventually find my original typed article, somewhat longer, I'll scan and feature that, too, though I've currently no idea where it might be. APRO's membership included not only subscribing members, but eventually field investigators as well, chosen to investigate UFO reports on behalf of APRO because of special skills or location. 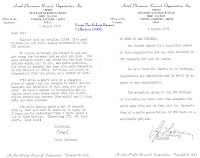 The standard Aerial Phenomena Research Organization letter of field investigator welcome shown here is included particularly because of a reference to military people overseas. APRO depended significantly upon foreign investigators to make the public aware that UFOs are an international scientific mystery. As I continued to serve in the Air Force in Texas, letters and UFO reports continued to seek me out back in New York. The letter shown here, from northern NY State, is of special interest because an Air Force representative was actually dispatched to speak with the witness and, according to this witness, the Air Force investigator admitted to other sightings. 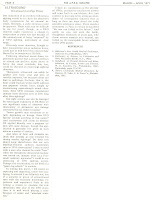 As the Air Force's Project Blue Book sank into oblivion, expressed in a short article from The Inspector General Brief (I typed what I read onto the paper shown here, the relevant phrase underlined by me for emphasis), some members of the media continued to believe the negative Colorado UFO study had churned out the final word. A Time Magazine editor's letter, for example, embraces Dr. Condon's project absolutely -- hook, line and sinker. The reason, then and now, remains primarily because many journalists simply don't take the time, or have not the desire, to examine all the evidence. There's little point in elaboration or correction here because I've offered numerous previous posts about Condon/Colorado, and my position, and history's account of the project as a "fiasco" (Look Magazine's superb designation), is clear. However, you will note via the brief passage in the TIG Brief that UFOs which could affect "national security" will continue to be reported -- interesting, since the perpetual government statements of pure distortion indicate that UFOs represent no threat to our national security. And so it goes, on and on and on. The Vietnam Era touched the lives of every American in some small or large way. In 1969, while I served in a large Texas Air Force hospital as an enlistee and former object of the military draft, the Vietnam influence evidenced its long reach in another way. For months prior to enlistment, I had stayed in touch with two newspaper reporters who produced some nice articles about UFO activity in Central New York. One day in '69 I suddenly received a letter postmarked from a military facility in (then) West Germany. The writer, to my surprise, was my former contact from the Syracuse Post-Standard. He, too, ended up in the military, in the Army. I never did learn all the details of that quick transformation, but he did admit that while with the newspaper his articles about UFOs elicited more response than anything else he ever wrote about. Months later, my second surprise occurred as I was reading an issue of Airman, the Air Force's monthly magazine. Airman, which I assume still publishes, distributed Air Force-wide, was a great looking monthly, its glossy appearance rivaling anything on the newsstands. Glancing at the editorial staff list, I became instant knock-me-over-with-a-feather material because an editor's name displayed prominently was familiar -- he was the other reporter I knew from back home, formerly with the Syracuse Herald-Journal, who now wore Air Force captain's bars and played an important editorial role for this major magazine. So, today I'm looking through the few things I've found from 1969 in the files. There's really nothing worth scanning this time, but a few things merit comment. 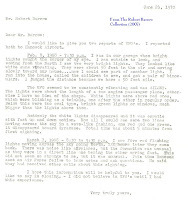 For instance, there's a note with information likely gleaned from APRO, NICAP or both (and certainly available in the mainstream reference sources) about a dramatic daylight UFO encounter in March by the pilots and crew of an Air Force KC-135 flying over Southeast Asia who reported a "giant black metallic cylinder suspended in the sky." The primary witness was Col. Robert M. Tirman, a flight surgeon stationed in Thailand. Tirman said the "huge" object hovered in a vertical position at an approximate altitude of 15,000 feet, at an estimated distance of two miles. After a spirited conversation between the pilot and co-pilot heard by Col. Tirman, the pilot initiated a closer approach to the object, appearing as a cylinder suspended in the sky. The crew speculated that it might be a weather balloon, but soon discarded that explanation, and the thing disappeared (in some manner) after several minutes. 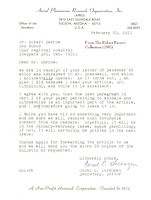 But the bigger news in 1969 is Dr. J. Allen Hynek's outrage as the University of Colorado releases "The Condon Report," highly negative and dismissive of the UFO subject -- and a controversial product of project infighting and dishonesty to its very roots as a significant percentage of unexplained UFO cases were simply ignored. A few more letters from Congressman James Hanley occupy my files, responses to UFO-related letters I continued to send him. At one point I've sent him a copy of the book, UFOs: Yes! by Dr. David Saunders, a scientist unceremoniously fired from the Colorado project because he didn't fit in with the misguided "UFOs: No!" crowd. Rep. Hanley assures me he will read the book. I suspect he did. Friends at Sheppard AFB in Texas, according to another note I scribbled, told me of a June 12 morning news report from either KTRN or KNIN radio (Wichita Falls). The local police station received a call from a town resident reporting a UFO the previous evening, and in turn the police phoned the base about it. The Air Force sergeant taking the call allegedly replied, "Your job is to chase burglars, not watch the skies!" As 1969 neared completion, I returned to Central NY on Air Force leave and was invited by WSYR-TV's (late) Denny Sullivan to guest on his daily variety show, a program I had appeared on a couple of years previously. His co-host for the week was the late comedian and singer, Lou Monti, who used me as a comedic punching bag for his good-natured sarcasm when I first walked on stage for the interview (memorialized for posterity by Wendy Connors' "Faded Discs" project -- ain't digitalization great stuff?). While at the studios, popular women's program host Kay Russell -- truly a pioneer among television's ladies of broadcasting in the U.S. -- "found" and invited me on her WSYR show, too, a radio program, so I ended up doing the two shows on different days, causing my brief leave to become more of a media event than a vacation. I had a great time and made extensive notes about the guest shots. The thing about WSYR is that it had a long and proud history on the airwaves and was a major broadcast power in Syracuse and Central NY because it encompassed a TV station and both strong-signal AM and FM radio stations. I did insist that both Sullivan and Russell keep my Air Force relationship out of the conversation, but Denny Sullivan did "slip up" and reveal it on the air. However, in reviewing my old notes (it truly is incredible how some events remain with you forever, while others slip away promptly), I read that the two of us actually had quite an argument or disagreement just days prior to my appearance over this issue. He saw no reason not to tell his audience about my Air Force ties, while I, typically, was scared to death because this was hardly an era where military people could proudly proclaim, "I'm military and UFOs are real and I'm going to tell the world on TV and radio, darn it!" So Denny Sullivan, a military veteran, won that round -- and with the passing years giving me pause to think, maybe that wasn't such a bad thing after all. The almost unthinkable has happened. Many with an eye toward UFO research suspected it was coming, but today's the day when harsh economic realities clash with an otherwise extraordinarily well-oiled information machine. This is all about a place called the Virtually Strange Network, prominently added to my list of links shortly after this blog's initiation. In Canada, Errol Bruce-Knapp is VSN's founder, and since 1996, at great personal cost, Errol has provided the world with insightful UFO-related radio broadcasts (his "Strange Days...Indeed!" is now conducted exclusively in pod format) and hosts an impressive, ever-growing archive of posts by the best and brighest involved internationally in UFO research -- names you know and names you don't, and possibly with your own name and contributions. Just as the late UFO investigator Coral Lorenzen once referred to her organization APRO as "the United Nations of UFO research," Errol's popular "UFO Updates" Web page also caters to the world's UFO-inquisitive, and to date offers an astounding archive of over 72,000 posts. But what was once free is free no more, and Errol's impressive, yet costly, services must now be available through paid subscriptions. More information may be accessed via my link to the Virtually Strange Network, and I'm sure you will find the rates reasonable and the wealth of information indispensable. Errol thanks you for your support, and, of course, we thank Errol Bruce-Knapp for being there to help sort out the truth and wisdom from hopeless piles of everything else involving the UFO subject!